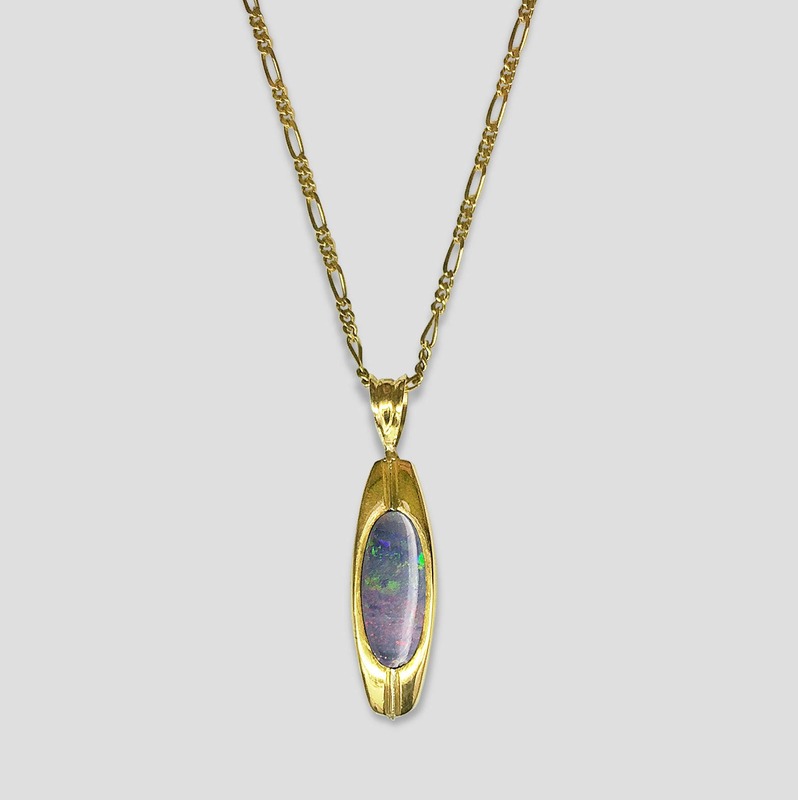 This striking black Australian opal pendant, with its sleek deco lines, started its life out in the 20's as a gentleman's stick pin which we repurposed into a pendant in our own workrooms recently. It is of very high quality with rich hues of blue, green, and golden oranges and could be worn with its reverse side exposed which is perfectly suitable to be engraved with your initials, or for that matter, anything else. Although delicate, this pendant is solid, well-made, and heavy for its size. The pendant measures slight over 1 inch long from top to bottom and slightly over 1/4 of an inch wide. This is a very one-of-a-kind piece which could be worn on a daily basis. 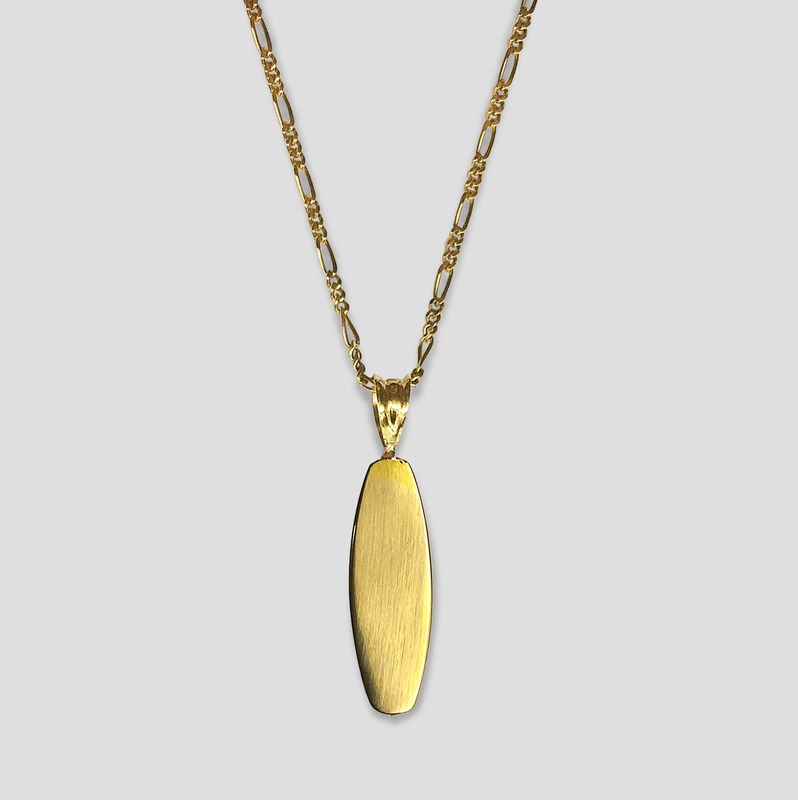 If you wish to purchase the chain shown, it is 18.25 inches long inclusive of a nice spring ring catch and costs $245. If you prefer we can substitute another chain from our large inventory or you can purchase the pendant to be put on your own chain.